At first glance, given the ubiquity of talk about electric vehicles, you could be forgiven for thinking that internal combustion engines are now a relic of history. 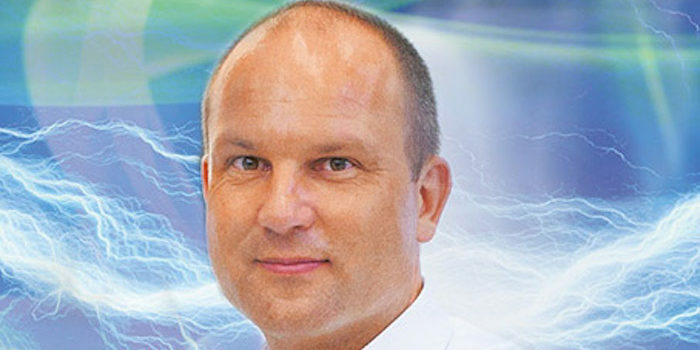 Dr Peter Riegger, MTU’s head of engineering development studies & new technologies, explains why electrified powertrains still have a long way to go before being a mainstream technology and why advances in diesel systems are many years from finishing yet. Electric motors are the future – a mantra we hear everywhere. When is MTU’s last internal combustion engine going to roll off the production line? It is going to be a very, very long time until then. I have no doubt at all that the combustion engine has a major role to play for a considerable time to come. But you’ll begin to see it being teamed with other power sources as part of a system solution. We’re going to be supplying more and more of our engines in combination with electrical components. For example, under our Green & High Tech initiative we’ve already developed – and are in the process of developing – products such as hybrid drives and microgrids. But in most cases, there will still be no getting away from the internal combustion engine. After all, you can use overhead power lines to drive trains, but they’re not much use for yachts or most haul trucks. Currently and in the foreseeable future, the energy density of batteries is much too low to allow us to think in terms of completely dispensing with combustion engines in all applications any time soon. The head of Bosch, Dr. Volkmar Denner, is saying that, thanks to electrification, the best days of the internal combustion engine are still to come. Can you sign up to that? Definitely. When it comes to development, electrification is opening up a whole raft of possibilities we simply haven’t had before. Just look at our emergency power gensets. These generating sets have to start up at the drop of a hat, something we do a huge amount of development work on. It’s also possible to add a small electric motor and battery, and then simplify the engine design. Electrification means we no longer have to design technology to cover the entire span of requirements, but rather it gives us much more freedom to make our combustion engines more robust, more efficient, cleaner and more economical. What kind of drive systems are hybrids especially suited to? Hybrids really come into their own where you have a highly intermittent load profile, with frequent shifts between low and peak loads. A classic example of this is the hybrid train propulsion, with trains entering and leaving stations under electric power, then using a combination of diesel engines and electric motors to accelerate, running economically on level track sections under diesel-only, and converting braking energy into battery power. The peak load can be borne in this instance by the electric motor. But, in my opinion, yachts are also perfect candidates for hybrid propulsion, albeit for reasons of comfort rather than economy, allowing skippers to turn off their diesels – say in scenic coves or anchorages – and maneuver quietly under electrical power. The battery can also be used to cover the high electrical power draw which a modern yacht has. And what about agricultural machinery? You’ll see hybrids moving in here too, albeit not immediately. In agri applications, electrical power can be shared very simply among various consumers. I’m thinking here of large combine-harvesters, for example, which have a multitude of hydraulic systems that – bit by bit – are going to be electrified. But this market is much more cost-intensive than rail or marine, and for that reason this trend will take a while to get going. Will MTU be supplying a fully hybrid system? Yes, we’re going to be offering customers a range of clever all-round solutions in future, featuring not just an engine, but an entire package incorporating advice and guidance, a power delivery system and a long-term maintenance agreement. For customers, this is going to be easier, smarter and more economical overall than self-designed systems where they have to buy, integrate and maintain all the discrete components themselves. It will soon be 20 years since Toyota unveiled the Prius. Why are hybrids still so few and far between in off-highway applications? It’s true, hybrid cars and buses have been around for a long time now. Indeed, we started delving into this as early as 2006, and we first put a hybrid train on the tracks back in 2012. On the seas, you’ll find the first hybrid ships – powered by MTU. However, until now, economy and ecology have not been great bedfellows, but we’re slowly getting to the point where hybrids are paying real dividends. Battery storage capacity is coming down in price all the time, and – as developers – we’ve learnt a lot in recent years and are now in a position where we’re able to offer customers a truly winning proposition. 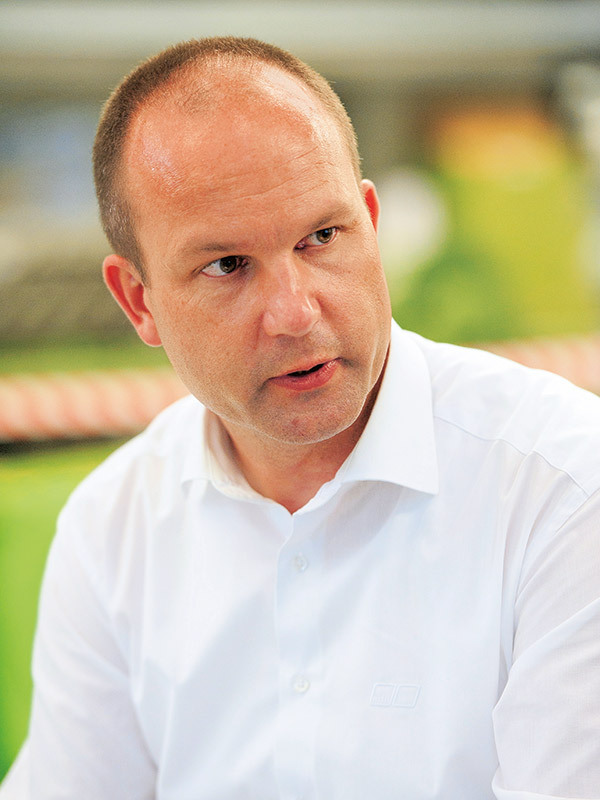 What’s the number one challenge in getting MTU hybrids into full production? We’ve already got rail hybrids ready to roll off the production line and are well on our way when it comes to yachts and microgrids – we’re just honing the cost model a bit. Interestingly, it’s not the tech that’s our greatest challenge – a diesel engine is far more complex to develop than a hybrid system – but most of our time recently has been spent getting to grips with how customers want to use our systems, with a view to packaging together all the features and functionality they need. And now we’ve arrived at the point where we’re able to offer them a menu of smart, reliable total solutions for microgrids, propulsion and drive systems, and on-board electrical power generation. Now, it’s all about putting ourselves on the radar with reference installations, and convincing customers of the benefits these solutions offer. Where does the diesel come into this system approach? A system is only as good as its components, and given the energy density of diesel, these engines are going to play a key part in our systems for a long time to come. We’re going to continue refining our diesels, keeping them at the forefront of technology. One of the major parts of the development work we are doing involves designing the engine proficiently into the overall system. Is hybrid technology a stepping stone to all-electric off-highway mobility – or is it here to stay? The term ‘bridging technology’ is sometimes misunderstood. The actual function of a bridge is to connect two sides. In this case, the conventional side and the electrical side are involved. I assume that hybrid systems will fit just a few individual applications and will provide a single-purpose, one-way bridge to purely electrically powered transport – on ferries, for example. We’re already seeing the first all-electric ferries in Norway. They have large battery banks and comparatively low power draws because of the short routes, and their timetables take account of the time required to charge the batteries, or swap them over. This is no longer an engineering challenge – it’s more a commercial one. In practically all other applications, its feasibility is fairly borderline. Some day, we might see trains bridging un-electrified track sections using on-board electrical power only, but that will still be no general replacement for the internal combustion engine in railcars. That said, we’re going to be keeping a weather eye on all the factors involved, to see if they develop along the lines we’re predicting – and to see whether, perhaps, any totally different emerging technology comes along to change the ballgame. MTU has been designing combustion engines for over 100 years now – its engineers may be the crème de la crème, but can they ‘go electric’ just like that? It’s not as if the whole e-issue has hit us out of the blue. We’ve been doing grid connection calculations for gensets for a long time now – something that calls for considerable electrical engineering skills – and diesel-electric drives have been part of our proposition for a long time in the form of MTU Power Packs, which are underfloor railcar engines complete with generators and power transmission technology. And we’ve been fitting hybrid systems to yachts as well. But of course, there’s always room to grow. The trick will be to modularize our existing hybrid systems, making them easier to integrate. We want to cater for a wide range of variants, load profiles and operating conditions while minimizing the effort involved. That is not to say we’re going to have a single standard product. Far from it – our aim is to develop an entire modular family which allows us to meet even special customer requirements simply and economically. Ideally, our sales engineer is going to click his way through the configurator software – I can even see a customer doing this on an app – putting together a power delivery system which triggers the corresponding production order. That is the goal we’re not going to lose sight of. So where does digitalization come into this? Electrification offers us a vast array of new possibilities. However, to master these possibilities we have to understand how customers are going to use our new systems. Not everything can be simulated. To make our systems even more efficient, we have to collect data and focus our expertise on analyzing it properly. Any illustrative examples of this? Let’s take battery life. We can design systems with big batteries to reduce wear and tear on the cells and make them last longer. But that’s a pretty expensive option. It’s more economical to use a smaller battery and make it work harder – but this lowers its lifetime. Sure, we can run simulations to see which option is preferable, but detailed operational experience is a huge help in areas like this. Analyzing past data, and using present-day knowledge to predict what’s going to happen in the future – I think that’s going to be the great benefit of digitalization. We’ve been talking a lot about electrified propulsion and drive systems. What other tech do you see coming over the horizon? There are some big developments we’ve got our sights on. A very important one is alternative fuels, which are set to gradually replace diesel fossil fuel. Natural gas is just one of these, and we’re also looking at synthetic fuels. They jury’s still out on which one is going to win the day – be it methanol or so-called OME fuels, or maybe even something completely different. The production of such fuels – thinking of power-to-x – is one key issue we’re looking into. How can we use renewable energies to obtain clean, CO2-free fuels? Hydrogen springs to mind, however combustion can be tricky. But using hydrogen to produce all kinds of synthetic fuels is an interesting proposition. We’re undertaking studies and analysis on this. This summer we’re launching a government-assisted project to cast more light on alternative fuels and on the combustion of hydrogen in our engines.